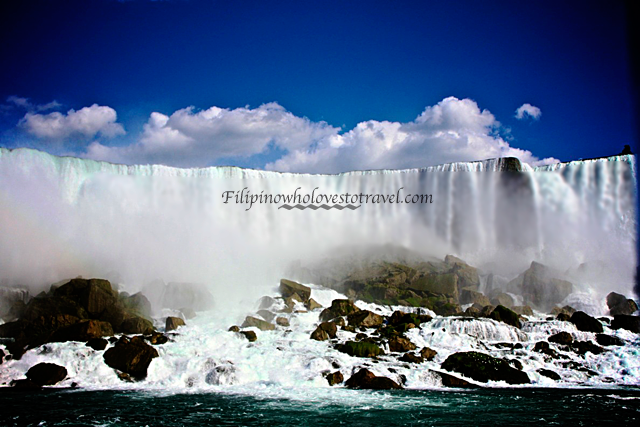 Niagara Falls is located in the border of Ontario, Canada and New York,USA. How to get there: By air or by car: If you're flying you can fly going to Toronto or New York and the best way to see the Niagara falls is by renting a car so its easy to get around. Visa: I am a green card holder so I don't need any visa when I went there, I brought my green card and passport. How much it cost to see the falls: The park is free but you have to pay the parking space and open all year-round and some attractions have fee. I`ve always to dreamt to visit Canada. My relatives live there. And of course I would visit Niagara Falls. This is one of the available magnificent and unique places of nature in which you understand and feel the full power of nature compared to the insignificant power of man.